The 2016 homeless count was just released. A record number of people were reported as homeless this year, 1,847 people, an increase of almost 100 people from previous year. A record high number of recently homeless (people who became homeless in the past year) was also reported. The increase in homeless people was found despite the fact that it was windy, cold and pouring rain on the night of the homeless count. Carnegie Community Action Project is not surprised by the findings of the homeless count, and we have released our own housing report card for the City (see attached). Unchecked gentrification has been pushing up rents in SRO Hotels in the Downtown Eastside, and in low-income neighbourhoods across the lower Mainland. SRO hotels, often referred to as the last stop before homelessness, has become the first step to homelessness. The loss of low-income housing, especially SRO hotels, is compounded by the lack of new social housing renting at shelter rate. While the new supportive housing buildings that have opened in the last couple of years rent for $375, these units are simply not enough. Furthermore, new social housing units are often not affordable to homeless people and people most at risk of homelessness. According to recent research by CCAP researcher Gabe Boothroyd (see attachment), less than 6% of new social housing units built in the City between 2012 and 2015 are guaranteed to rent at the shelter rate of welfare ($375). 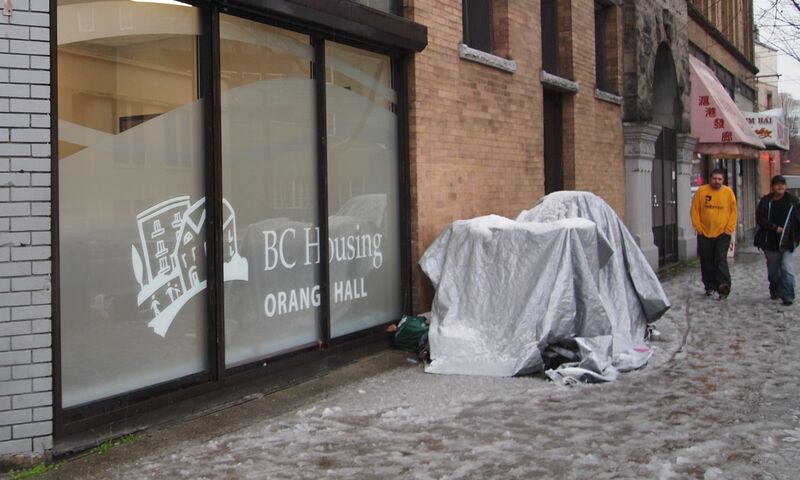 Create 100% welfare rate housing on 10 city owned sites, 6 of which the city already owns, in the Downtown Eastside. Fund the SRO collaborative to increase its capacity to organize in hotels so that tenants have backup and knowledge for how to assert their rights. “Again we have unprecedented number of homeless after Mayor Gregor promised to end homelessness and it is because his government and the developers have been pushing an aggressive gentrification and unaffordability agenda to record levels” said Downtown Eastside resident and activist Formerly Homeless Dave in response to the report findings.